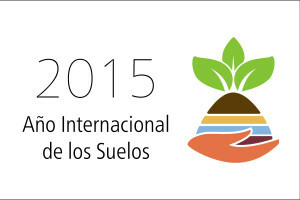 BioNica and the Asociación para el Desarrollo Agroecológico Regional (ADAR)- through a cooperation agreement with the Universidad Nacional Agraria (national agrarian university) – operate a training, research and demonstration center for agroecology and the biointensive method of sustainable agriculture. Since its beginning in 2013, over 1500 small-scale growers and agricultural technicians from NGO’s with small-scale agricultural projects, along with professors and students, have learned to “Grow the Soil”. 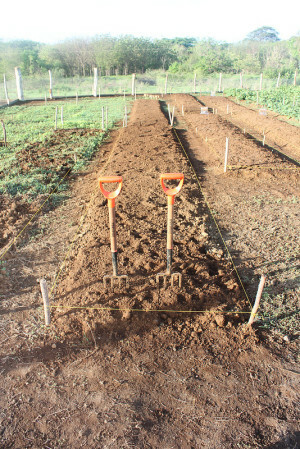 The Centro Agroecológico Biointensivo demonstrates that the application of “biointensive agroecology” methods to small-scale farming and kitchen gardens – when practiced correctly – builds sustainable soil fertility, reduces agricultural water consumption, increases crop yields, and offsets the causes and effects of climate change by sequestering large quantities of carbon in the soil. 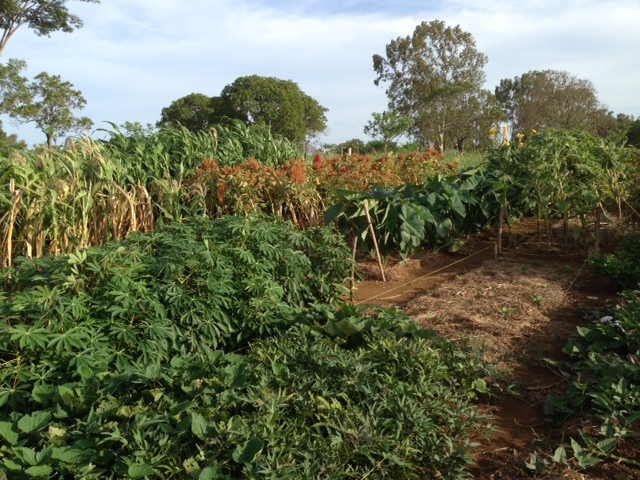 To arrange for a visit to the Centro Agroecológico Biointensivo, contact Javier Silva (President-ADAR). Location: The Centro Agroecológico Biointensivo is located on one and one-half hectares at the research farm “Finca El Plantel” of the Universidad Nacional Agraria. The entrance to El Plantel is at km 30 of the Tipitapa–Masaya Highway in the department of Masaya between the coordinates 12°06’23” and 12°07’34” north latitude and 86°04’50” and 86°05’37” west longitude. Altitude: 120 meters above sea level. Temperature: The average high temperature during April and May is slightly above 28º C. The average low temperature for the month of December, when the sun is at its greatest southern elongation, is 25º C. The average annual evaporation is 2044 mm. The month with the highest rates of evapotranspiration is April. Climate: According to Köppen classification, the climate is tropical savanna transitioning to sub-tropical, semi-humid. Precipitation: Precipitation varies from 600 to 1800 mm/year, the average is 1350 mm/year. There is a marked dry season (November 15 to May 15). During the dry season, the average precipitation is 0-3 mm/month, the driest months are February and March. The greatest precipitation is during the months of September and October when precipitation is from 200-250mm. Water: The farm has two artesian wells that work all year with quality water for irrigation and human consumption. Soil: Textures vary from loamy-sand coming from the most recent recent pyroclasts to clay from the derivatives of volcanic mud. Overall it is considered that the soils are deep and well-drained, with acceptable fertility and deficiencies in phosphorus. Slope: The slope varies from 1% to about 15%, the latter reflects bedrock with little or no soil cover.